It was clear and cold today. For those that religiously read this blog (and why wouldn’t you? ), I’ve been sick most of the week so missed a couple days. I’ll try to make up for it and today will share a nice fragrant shrub that should be blooming in about 100 days from today! Big John worked on more Holiday Light Show (HLS) related tasks and Vern and Jim were in for some carpentry. Urban came in for some pruning and Janice had some research to accomplish. We also saw Dennis, Gena, Gary, Bill O. and a couple of others. I’m playing “catch up” but my primary focus is seed ordering at this point. The first lecture on Sensational Shrubbery went well last night (given by me). 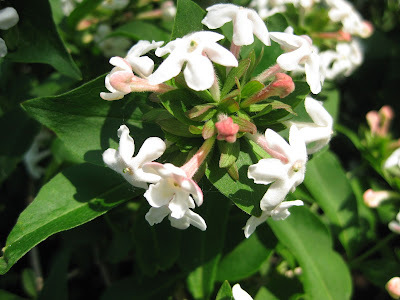 We had a nice turnout of 47 attendees and I strongly promoted the fragrant abelia (Abelia mosanensis) seen in all of these photos. Do check out the remaining ten lectures that are given monthly through November. 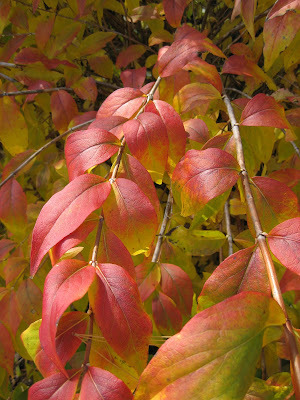 They are very reasonably priced at $3 for RBG Members and $5 for non-members. 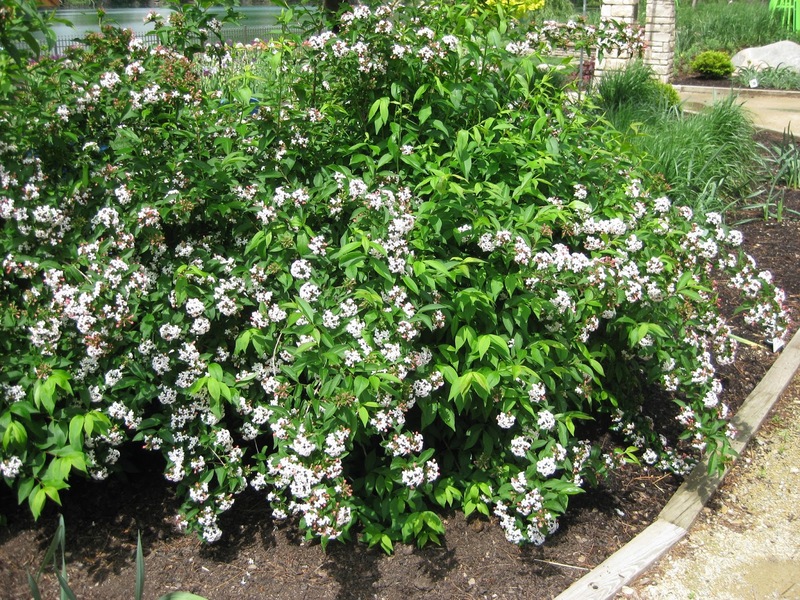 Well back to talking about this tough shrub which is native to Eastern Asia. 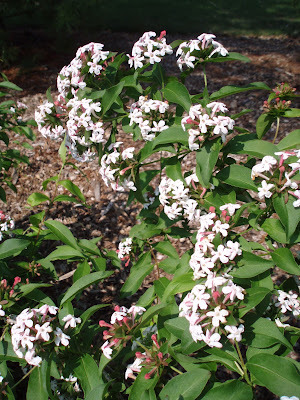 We’ve had three of these abelias doing well near the Nancy Yahr Memorial Children’s Garden for the past seven years of so. Hardy to zone 4, this abelia has established well and bursts forth in May with these very fragrant flower clusters that perfume the surrounding area. 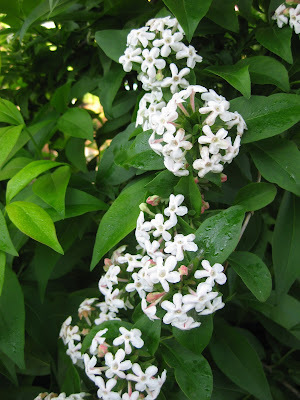 I would say this is my favorite fragrant plant and the flowers will last a good three weeks in to early June. Blooming on old wood, any pruning should be done immediately after flowering but keep in mind that the natural form of this shrub is arching and a bit informal (see further below). 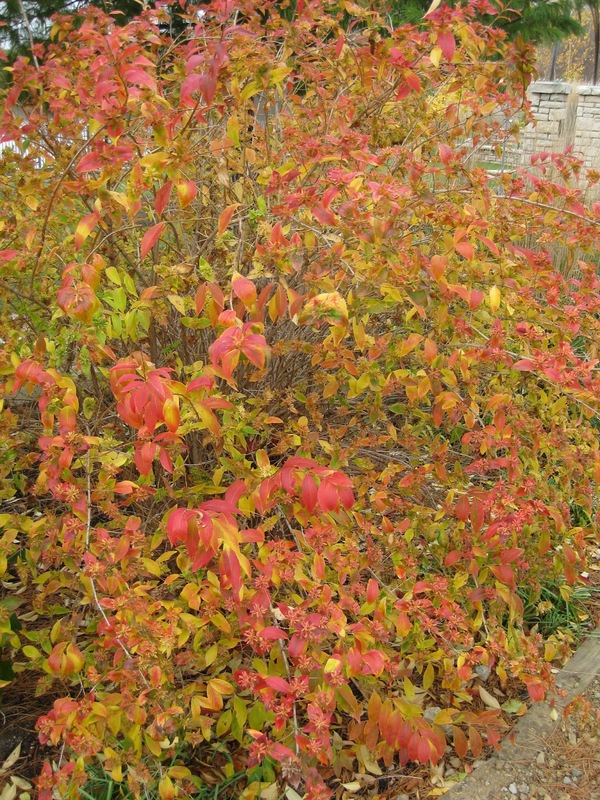 Ultimately, this shrub (full sun or part shade) will get 6′ tall and 6′ wide at maturity. 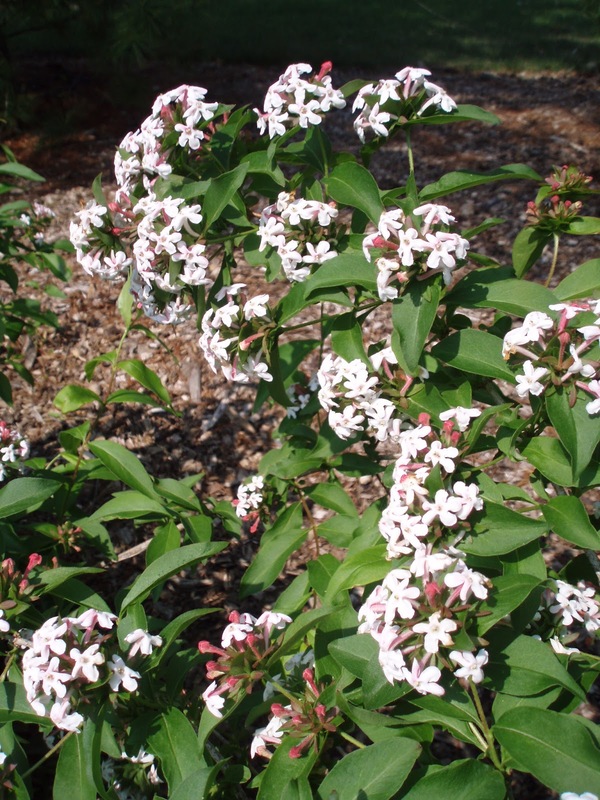 The flowers attract butterflies and this shrub is also resistant to deer nibbling. 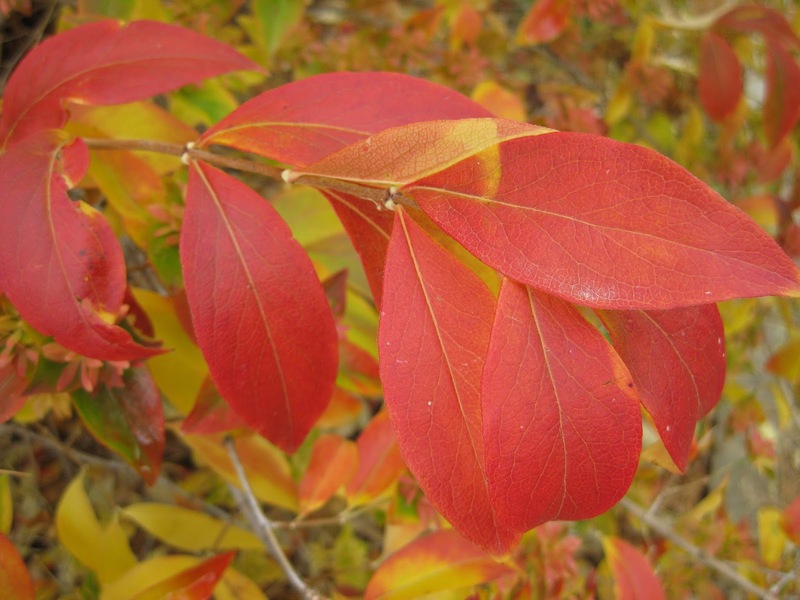 While the flowers are the primary interest in spring, the fall color is always exceptional with bright orange being prominent at peak. 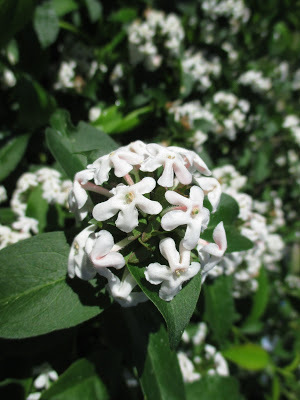 There is a selection called Sweet Emotion out on the market which is essentially the same as the straight species but might get folks to try out this very fragrant selection as it becomes more readily available.